Earthquake Emergency Kit: What Should You Have? With two huge earthquakes striking Mexico – less than two weeks apart – and a large earthquake hitting the Pacific (near Japan), now is a good time to make sure you’re ready for substantial seismic activity. 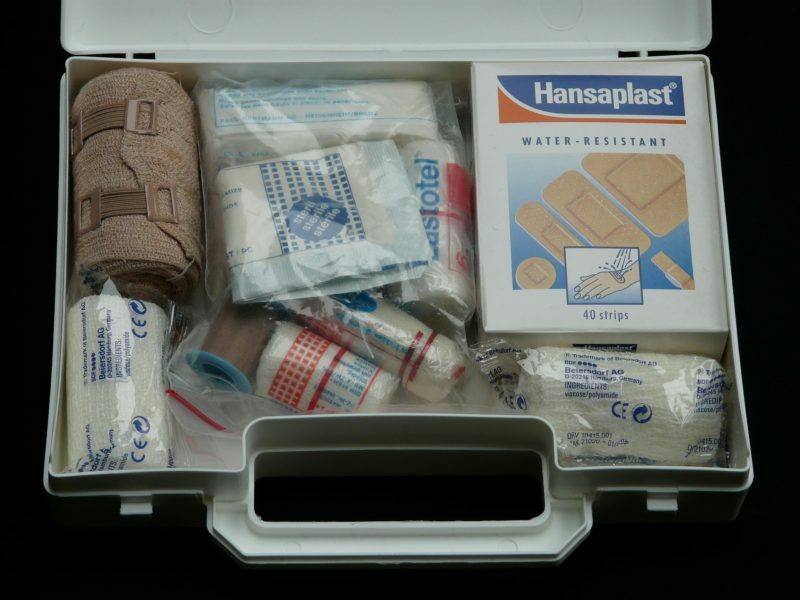 Every earthquake emergency kit should have enough supplies to last you for at least three days. The most important items are obviously water, food and First Aid, but if you’re stuck for three days or more without water and power, you’ll want to include much more in your kit. Water: You’ll want at least a 3-day supply of water for each person in your household, and each person will need about 1-gallon of water per day. Remember to include enough water for your pets and a little extra for children, nursing mothers and any elderly or sick people. You’ll want to store your water in plastic containers, such as soft drink bottles. Don’t keep water in any material that can decompose, and you’ll want to change the water every six months. Clothing and Blankets: In addition to the supplies listed above, if you have to evacuate from your home you will need extra clothing & blankets. You’ll want to pack one complete change of clothes, a jacket or coat, long pants, a long-sleeve shirt, strong shoes, a hat and gloves, rain gear and a sleeping bag. Plan for babies & seniors: If you have an infant, you will want to include formula, diapers, bottles, powdered milk, medications, moist towelettes and diaper rash ointment. For senior citizens, you’ll want a list of their prescription medications, extra eye-glasses and hearing aid batteries, a list of the style and serial numbers for medical devices, extra oxygen, wheelchair, copies of medical insurance, list of doctors and emergency contacts, in addition to all other emergency supplies. Now, more than ever, it’s important to be proactive about earthquake preparation and safety. Julian De La Torre is an expert in Los Angeles foundation inspection, foundation contractors and foundation repair. Julian’s company, Julian Construction, has inspected over 15,000 structures, working with engineering firms and local departments of building & safety. The company has done more foundation repair in Los Angeles than any other company in the area over the last five years.